Suntory Beer successfully reached 73%+ of the target consumers identified achieving an average CTR of 2.62% via iClick Interactive’s programmatic video ad solution. 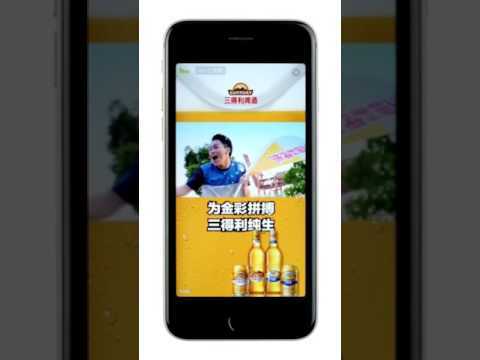 Suntory, one of Japan’s leading beverage brands, aimed to boost brand exposure and expand target audience reach for its beer products in Eastern China cities including Shanghai and Suzhou via an effective digital video ad campaign before summer starts – a high season for beer sales. Suntory also hoped to promote interaction with its target audience via a questionnaire through which the brand can learn more about their needs and preferences. Leveraging its multidimensional data map, iClick Interactive identified the core target audience group for the brand based on their interest in beer products as shown in their keywords searched, content viewed and actions taken on social media. We then identified the “look-alike” audiences for the campaign and algorithmically expanding audience reach by 7.2 times, reaching an audience size of 12+ million in total. Harnessing our OTV solution, Suntory’s video ad was then precisely delivered to these audiences via iClick Interactive’s extensive video network in China.